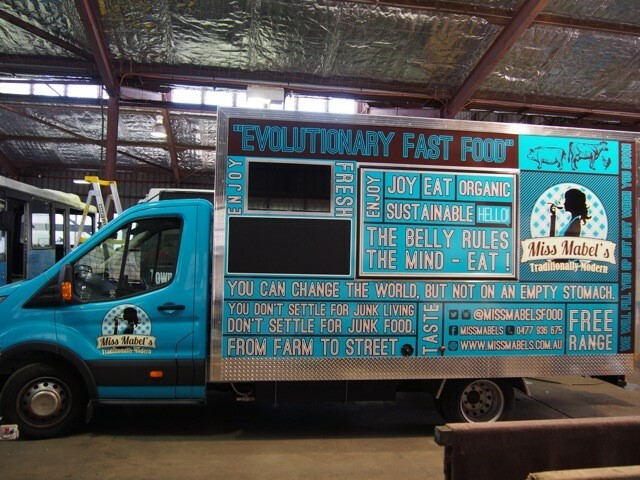 The Van Demons team have sent yet another truck to Sydney, and there’s a good chance that if you are a Sydney local, that you will spot this truck sooner or later. 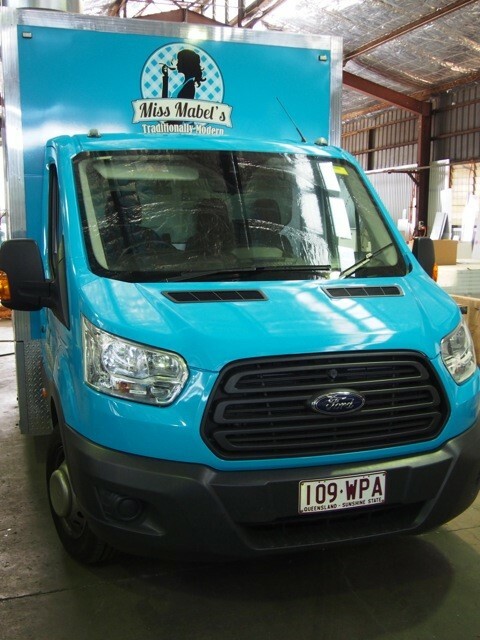 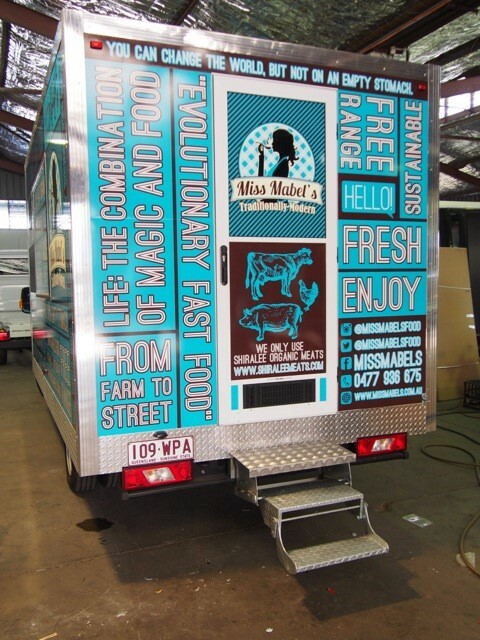 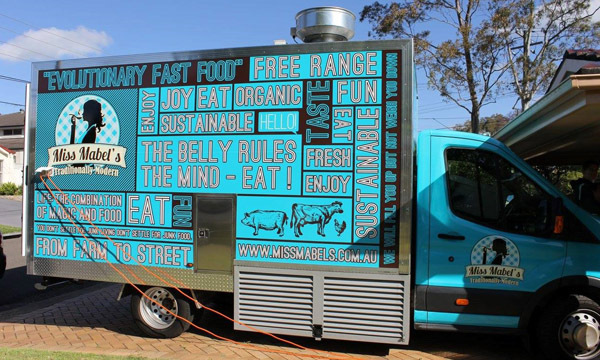 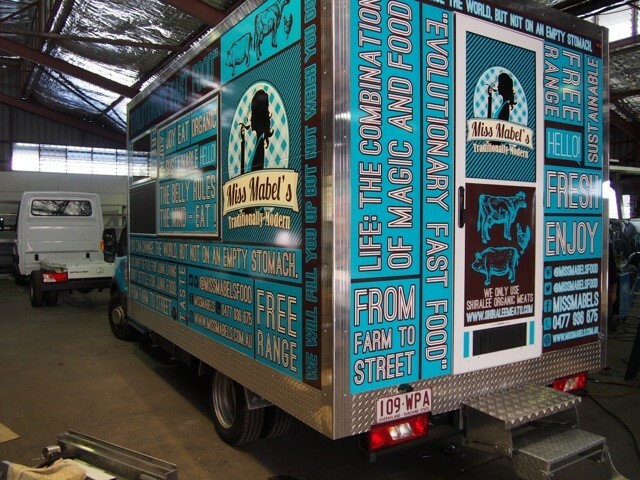 With it’s full aqua blue wrap (the Ford Transit truck was originally white), Miss Mabel’s is serving up tasty organic, free range food “from farm to street” at various markets and events. 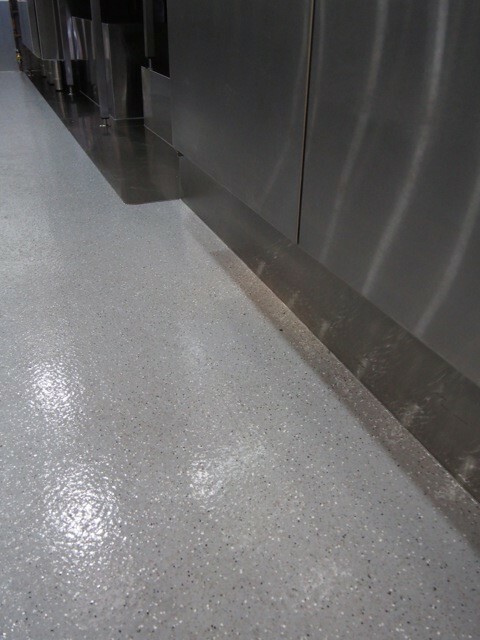 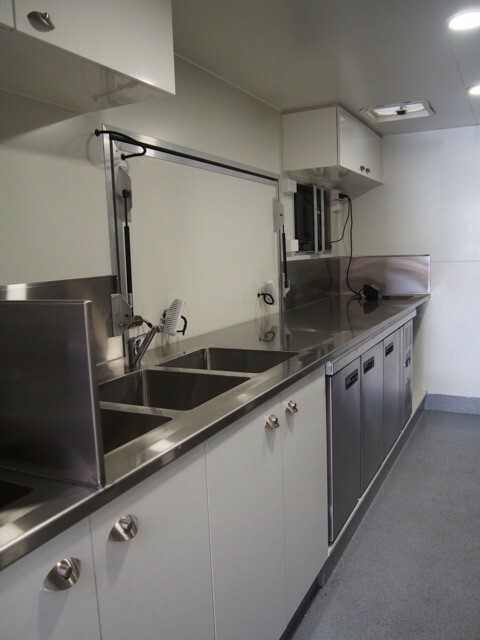 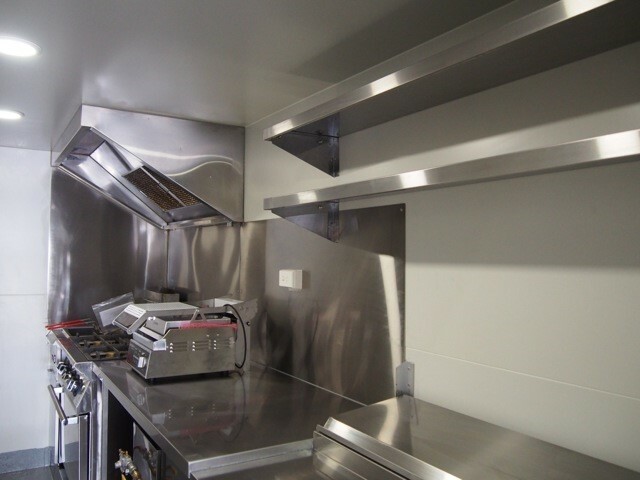 We have built a 4.1m x 2.2 x 2.2m truck body onto the back of a Ford Transit cab chassis and fitted it out with a complete commercial kitchen, with a built in TV on the exterior to display menu choices. 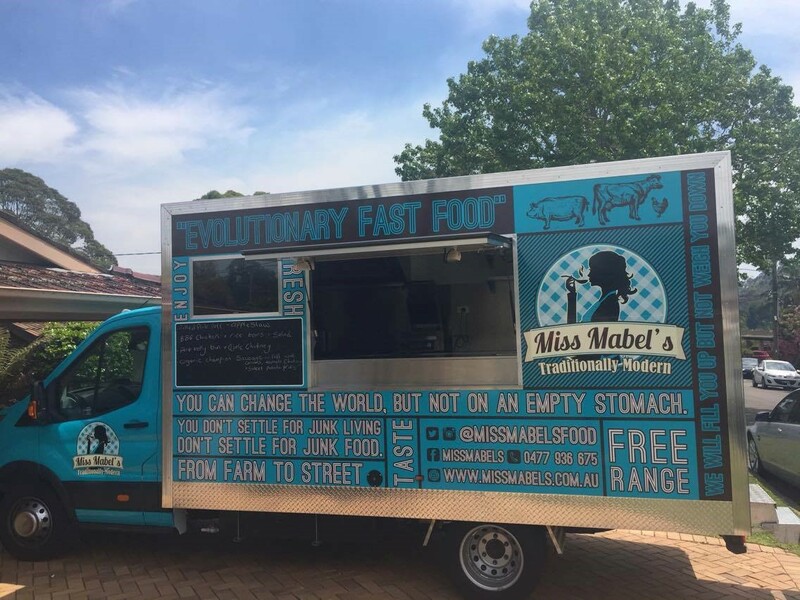 Since their launch, Wayne of Miss Mabel’s has had so much interest in franchising that we’re betting we’ll be all be seeing a lot more of Miss Mabel’s in the near future.